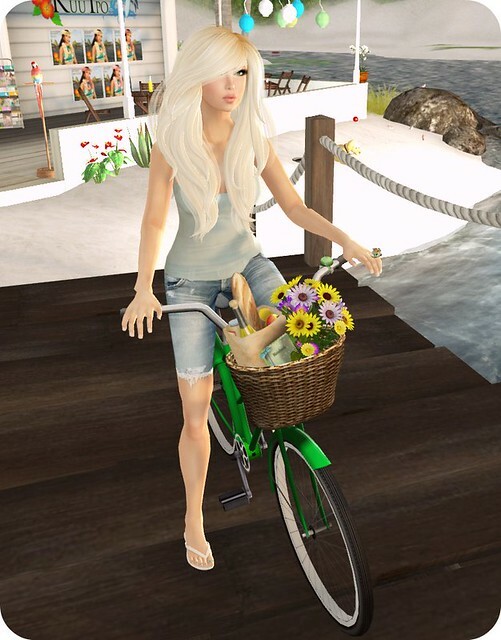 The new bicycles from What Next may be the most realistic one I’ve ever ridden in SL! The wheels rotate when you pedal and the animations included are so realistic!! I had so much fun riding around Kuu Ipo sim, it definitely makes touring SL sims more fun than simply walking. Check out all the goodies in my basket! What a beautiful basket. It looks so realistic! How cute! This will make getting around the beach much easier! Aren’t they amazing! It took me over an hour to choose one early this morning. 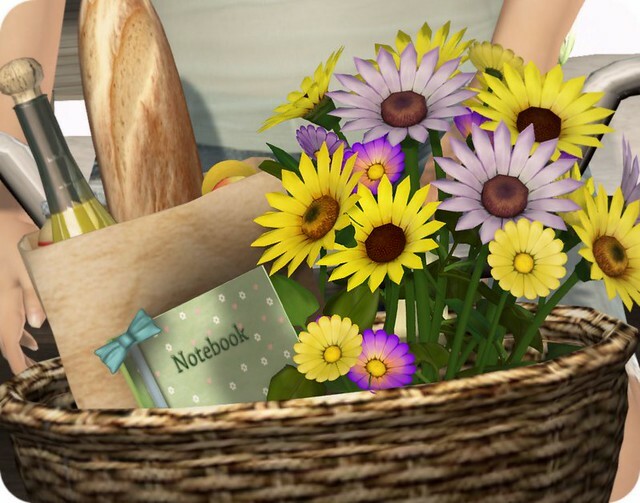 I ended up deciding on the basket with the camera and sunglasses. I’m a member of the group though, and the discount makes the prospect of also owning the flower basket version irresistible! ahh damn you What Next! You make it damn near impossible to pick just one! LOL i literally stood in front of the bikes for a half hour trying to choose one….and since I have no willpower when it comes to this brand..I ended up buying all of them lol thank you group discount! I ended up with 2 of them. What Next is one of my all time favorite stores!